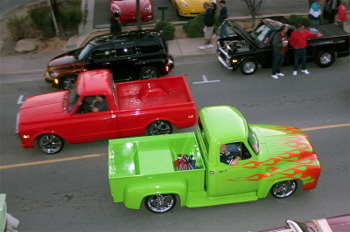 Traditionally considered the first big hot rod show of the year, The 21st Annual Temecula Rod Run was better then ever. 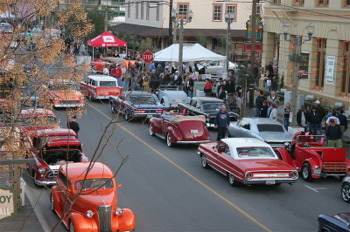 Over 700 cars lined Front Street to the delight of 1000’s of spectators. 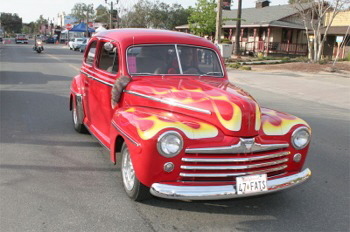 The street was covered with an eclectic bunch of hot rods & people. The interesting shops that line the street were busy. There was no shortage of good food. The band “Pleasant Valley Sunday”, a Monkees tribute band, performed free at the Stampeed on Saturday night. The awards ceremony included 70 winners. 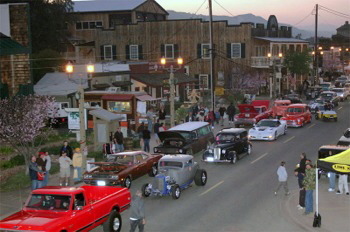 The Friday evening cruise on Front Street is very cool. 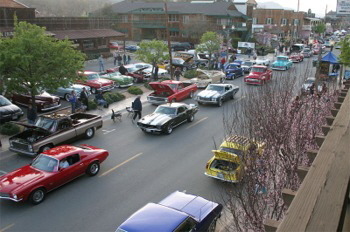 About 200 cars cruised the street from 3:00 till about 8:00, just like the old days. 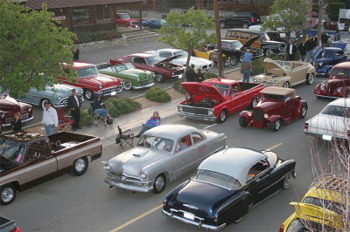 The new Friday night and Saturday format allows hot rodders to take some time on Sunday to enjoy the other attractions the Temecula area offers. This year a special fund raising dinner was held Thursday evening at the South Coast Winery. P & R Events, the Rod Run producers, has pledged $175,000. over the next 5 years to the Boys & Girls Club of the Southwest County. 260 guests attended the dinner and some of celebrities that attended were Vinny “The Customizer”, Bill Hinds, TV Tommy Ivo, Al DiMora, Tombstone, and Bobby Sherman. 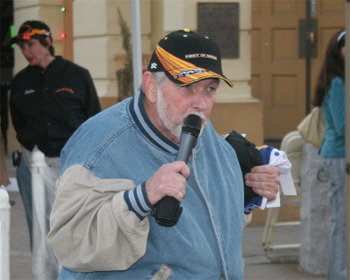 George Barris was honored with a “Life Time Achievement Award” and Temecula made March 8 “George Barris Day”. 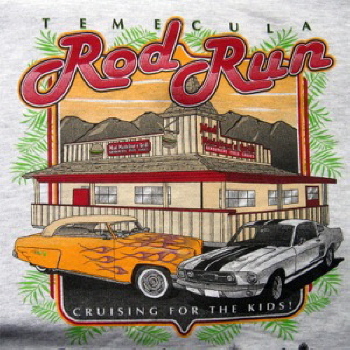 October 12-13, 2007 are the dates for the Fall Temecula Rod Run. Thanks for the Show! Show’n a little class. 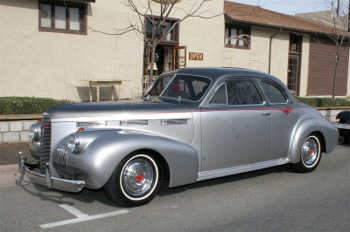 George Gugliotta from Murrieta,CA brought his beautiful Chevy powered ’40 Cadillac LaSalle. 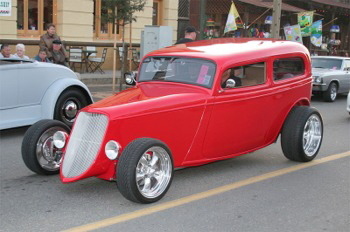 Rusty Barron from Desert Hot Springs, CA was cruis’n his blown 454 Chevy powered, chopped ’32 Coupe before the event began. – A pack of “Bad” trucks. The green one belongs to Dustin Hacker of Las Vegas, NV. 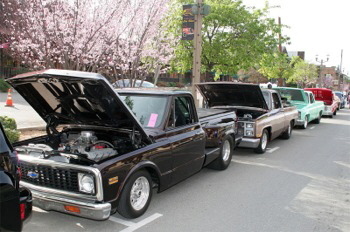 It’s a ’81 Chevy Pickup, on steroids, with a blown 473ci Merlin for power. 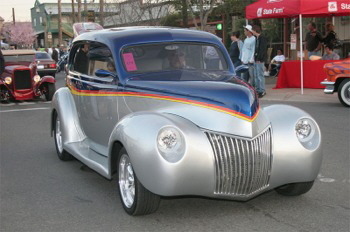 – Larry Deweese brought his small block Chevy powered ’47 Ford from Torrance, CA. – A group of classic cars in a classic setting. 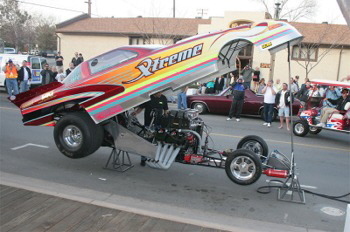 The start of the Friday Cruising was signaled by this very sharp Top Alcohol Funny Car firing up. How cool is that! 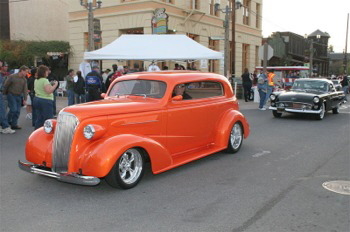 Carl Townson from Chandler, AZ brought his amazing orange ’37 Chevy 2 door sedan. Its mods include 1 � “ chop, no “B” pillar, LT1 power and to many details to mention! 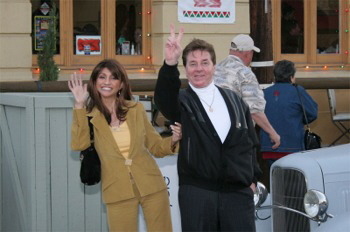 Bobby Sherman and his “Better half” enjoy the cars cruis’n Front Street. 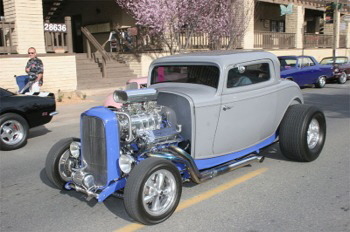 This very clean ’40 Ford Sedan has small block Chevy power and belongs to Tom & Patty Downs from Gilbert, AZ. 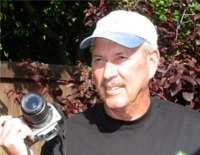 As always, Ray Waite calls the action at the intersection on Friday night. 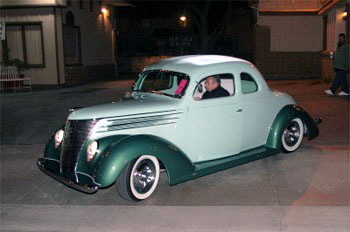 Cruising his smooth ’33 Ford Victoria from Murrieta, CA is not a problem for Jim Riutcel with his 383 Chevy power. 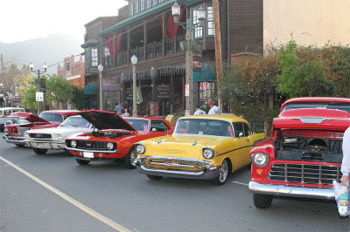 The Friday evening cruise on Front Street is very cool. 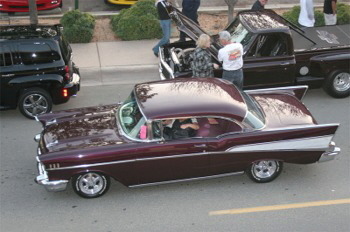 Dewayne Harris and his better half from Moreno Valley, CA are cruis’n his 383 Chevy powered ’57 Chevy BelAir. She knows how to cruise, with her arm around him, check it out! – Got’a Hemi? 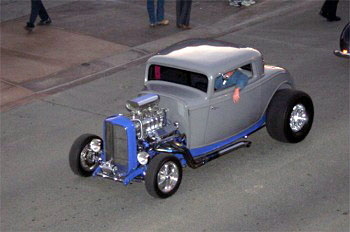 This cruising ’30 Ford 5 window from Valley Center, CA has one, it’s 354 and blown. A 429 Ford big block powers Dennis Trujillo’s “clean green” ’53 Ford pickup from Pala, CA. 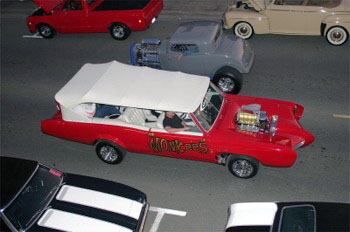 George Barris created “The Monkees” car. 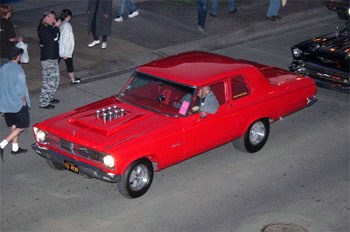 – Robert Munoa from Temecula, CA cruising his altered wheelbase “Funnycar” ’65 Plymouth Belverdere with a 528ci injected Hemi. 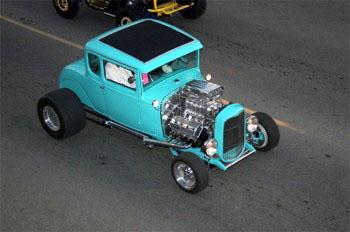 – That’s Chet Miller’s 351 Ford Cleveland powered ’37 Ford coupe from Temecula, CA.